Ask people what mystery they would most like to solve and you’re likely to get a wide range of answers. However, if you ask more than a few, solving the assassination of President John F. Kennedy is likely to be included on the list. Why? Because for many, some key facets behind the JFK assassination remain largely unsolved. For example, was there a second gunman? Did Lee Harvey Oswald pull the trigger? 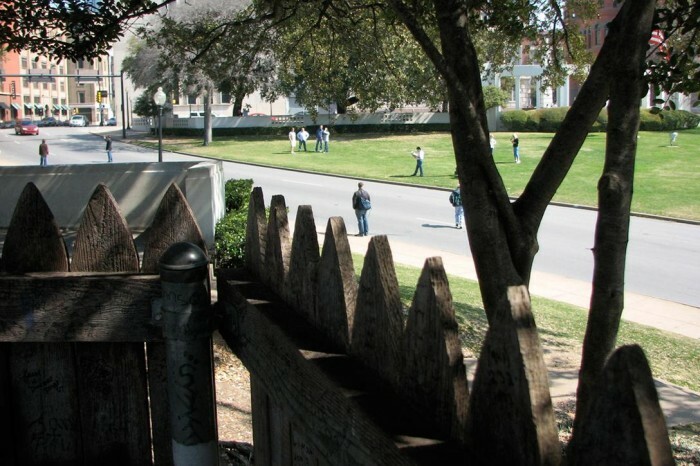 Was there a shooter behind the ‘Grassy Knoll’ fence? Was Russia, the CIA, the Mafia, the Military-Industrial Complex or Fidel Castro involved? 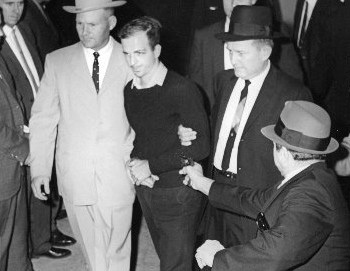 Why was alleged JFK assassin Lee Harvey Oswald killed by Mob afffiliate Jack Ruby before Oswald could fully talk? The list of never fully answered questions is long, indeed. As one would expect, many approaches to solving this mystery have been considered. Of them all, there is one approach that is unlikely to provide answers. There is also one that is considerably more likely to provide answers. Let’s look a both. While time travel is not considered a deus ex machina method to solving seemingly intractable dilemmas, it shares some similarity with that ancient Greek approach of bringing in a hitherto-unknown force to provide a tidy ending. Unlike deus ex machina, which injects a most unlikely story resolution late in the story, time travel usually involves the necessary suspension of reality earlier on, in order to utilize unrealistic options that are not otherwise available. This is not to belittle time travel. 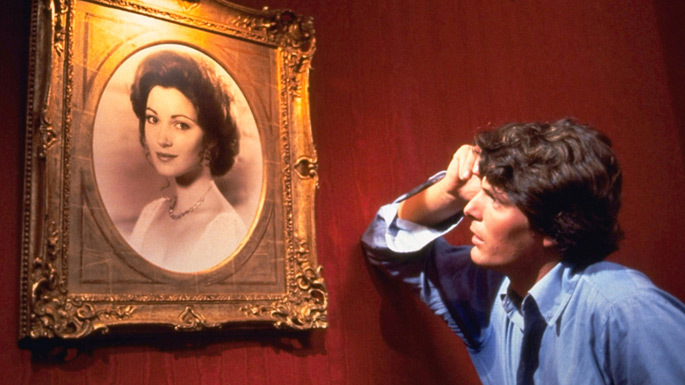 Time travel is a terrific format for entertainment, as witnessed by some outstanding films like ‘Somewhere in Time.’ So for escapist entertainment, if one suspends disbelief, time travel can be uniquely exciting. Yet if we’re intent on moving a step closer to actually solving the mystery of an event like the assassination of our 35th president, there is another option, which to many is far more exciting. The use of new evidence is an approach that could actually advance the resolution of the thorniest problems…including the assassination of President Kennedy. Think of it this way. If a homicide detective truly wishes to solve a murder, time and again it is good detective work, including a hunt for all available new evidence, that is the proven recipe for success. 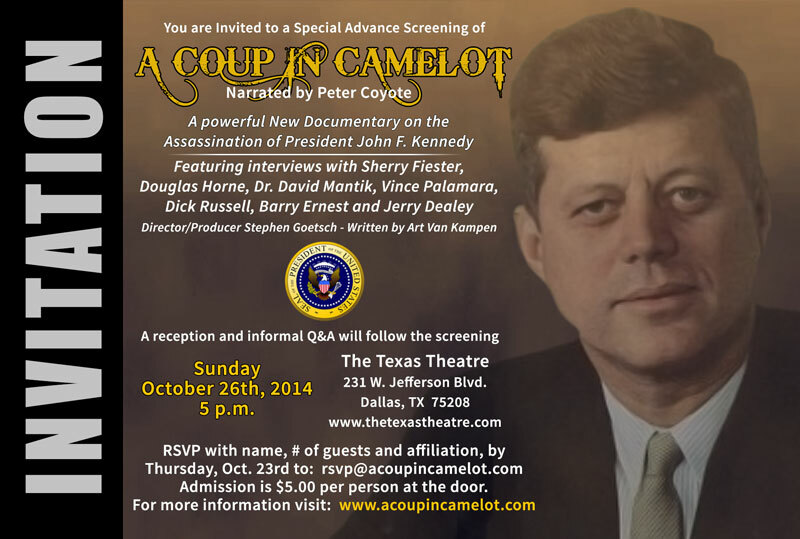 Consider the uncovering of many noteworthy clues since the JFK assassination, like the discovery of never-seen movies taken in Dallas that day on November 22, 1963. 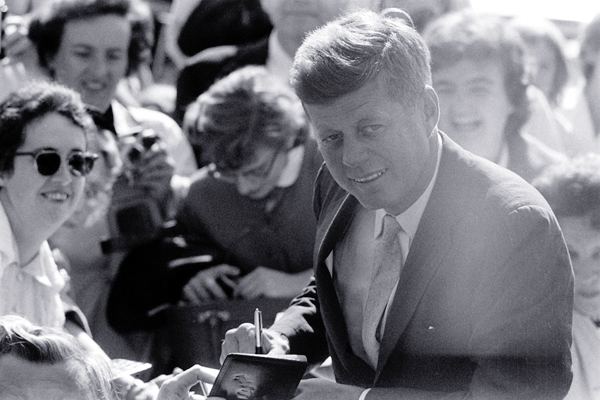 Curious about how new evidence could help provide answers to the JFK assassination? 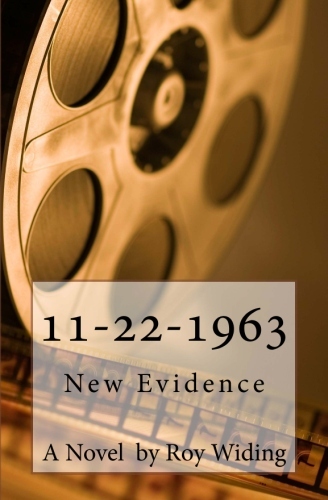 Click here for information about the novel 11-22-1963: New Evidence. A new film titled “A Coup In Camelot” is now scheduled for release this month. This movie attempts to examine events in Dallas, Texas on November 22, 1963 surrounding the assassination of President John F. Kennedy. After more than half a century, now the mystery surrounding the assassination of President John F. Kennedy can finally be solved. Most are familiar with the many conspiracy theories. These include accusations involving Lee Harvey Oswald, a second gunman behind the ‘Grassy Knoll,’ the Mafia, the Cubans, the Russians, the CIA, the military-industrial complex, even Aristotle Onasis and President Lyndon Baines Johnson. Yet none have been conclusive in confirming with absolute certainty who killed President Kennedy. However, the JFK assassination conspiracy can still be solved. And here’s how. Draft legislation providing total immunity to anyone who provides new information on the JFK assassination. We need to close the yet-unhealed wounds inflicted upon our nation by President Kennedy’s tragic death. Yes, it’s time. Let’s not wait another fifty years. Never-before-seen colour footage has emerged of JFK riding in his presidential motorcade moments before he is assassinated. The short clip, which was believed lost until earlier this year, shows the President looking relaxed and giving a thumbs up as he is driven past cheering crowds lined up along Main Street in Dallas. The footage was shot shortly before the motorcade headed west towards Dealey Plaza, where Kennedy was assassinated. It was taken by office worker Andre Leche, who was living in Dallas at the time. He had just bought a new movie camera and thought the President’s visit would be a perfect opportunity to use it. Mr Leche died in 1987 and the film canister was thought lost. But this year his son Paul was placing something in his safety deposit box and discovered a yellow Kodak box with ‘Kennedy’ written on it. Read more about this fascinating story here. A new book timed for the 50th anniversary of John F. Kennedy’s assassination in Dallas on Nov. 22, 1963, reveals that four doctors and two medical students among the first to see the former president believe that a hole below JFK’s Adam’s apple came from a shot fired in front of his car, a second-shooter theory dismissed by the controversial Warren Commission. While the Commission said gunman Lee Harvey Oswald took all the shots from a building behind the president, riding in an open convertible through Dealey Plaza, the new book written about the medical professionals caring for Kennedy at Parkland Memorial Hospital bolsters a 1979 House report that JFK died in a conspiracy. Read more about this interesting story here. Click here to listen to the song “Abraham, Martin and John” performed by Dion. “Abraham, Martin and John” is a tribute to the memory of great assassinated Americans, all icons of social change, namely Abraham Lincoln, Martin Luther King, Jr., John F. Kennedy and Robert F. Kennedy. It was written in response to the assassinations of Dr. King and President Kennedy in April and June of 1968. I just looked around and he’s gone. The final verse mentions Robert “Bobby” Kennedy, and ends with a description of him walking over a hill with the other three men. The upcoming 50th anniversary of President Kennedy’s assassination has media outlets focusing on theories of JFK’s murder. Over the next month leading up to November 22nd, more books, films and TV programs are scheduled for release. And events in Dallas commemorating the tragic event are certain to see global coverage. Will all this media coverage provide new information, leads or evidence on the JFK assassination? Tell us what you think by voting in our new poll below. Rare photos taken by spectators on the day JFK was assassinated are available for the first time in decades. The show at the International Center of Photography in New York, JFK November 22, 1963: A Bystander’s View of History, examines the photographs which show the fateful day from an angle not seen in official accounts of the day. While some of the images were used in news reports at the time, the enduring image of the assassination has been through the famous film by Abraham Zapruder. 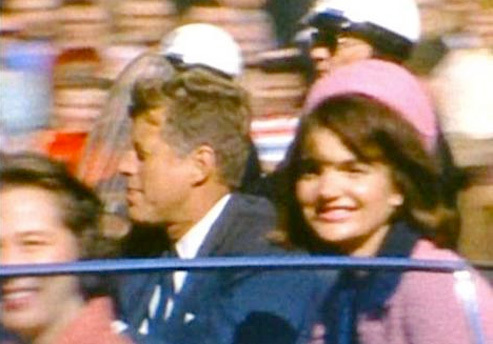 The snapshots show a smiling John F. Kennedy and wife Jackie moments before the President was allegedly shot by Lee Harvey Oswald. Other images show a distraught Jackie Kennedy at the President’s funeral and Oswald being led away by Federal office. Unresolved answers about the assassination of President Kennedy may still be found. All that’s needed is new evidence. Find out more in the novel 11-22-1963: New Evidence. There’s been plenty of time for anyone with solid information to weigh in on the assassination of President John F. Kennedy. Think about it. November 22, 1963 happened a long time ago. Fifty years, in just a few months. Anyone who was an adult at that time is now eligible for social security. So what can we expect as we approach 11-22-2013? A startling new revelation? No. If past years are any guide, what we’ll see this November will simply be more of the same, but with a convenient half century marker for the memory-challenged. That means lots of conspiracy talk. Perhaps a few so-called ‘witnesses’ who come out of the woodwork. Maybe even a deathbed confession. But none of it will matter. Here’s why. Any testimony…whether it’s ‘first hand’ or even ‘insider knowledge’…will be questionable, at best. That’s because there have been hundreds of different books written since President Kennedy’s death and plenty of time for those with something significant to say to come forward. After this long, even genuine testimony by one who was there lacks sufficient gravitas to ‘move the needle’ and change what is now a predictably endless guessing game. As a result, only one thing now matters about the JFK assassination. Solid physical evidence is all that remains to alter the check-mate of uncertain culpability in the JFK assassination. Short of such new evidence, the endless web of intrigue that is the JFK assassination will continue. 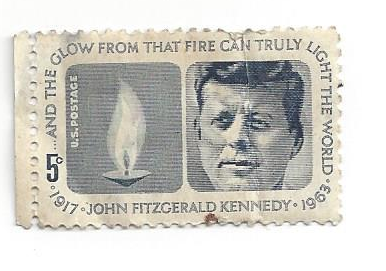 The question of who killed JFK is now a profitable cottage industry. There is simply too much for current players to gain by speculating about what really happened in Dallas on November 22, 1963. But all is not lost. This mystery can still be solved. All that’s needed is the uncovering of new evidence. That evidence could be in someone’s attic or dresser drawer. Think that’s crazy? Find out why it’s not…here. 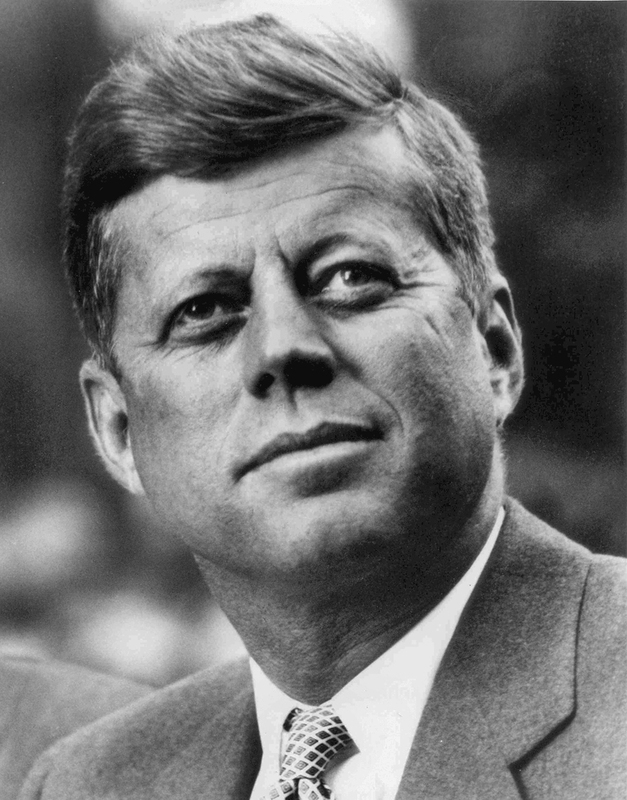 The assassination of President John F. Kennedy remains among the biggest mysteries of the 20th Century. Most Americans believe there was a conspiracy to assassinat­e the president. A US House investigat­ion agreed. 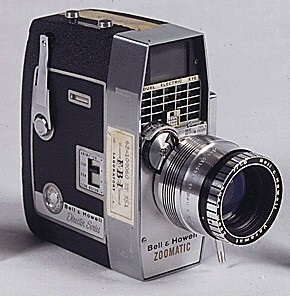 Especially compelling are the many home movies taken on November 22, 1963 that continue to surface. Thousands of witnesses were on hand when President Kennedy visited Dallas and many brought cameras with them. Unseen home movies that contain photographic evidence surroundin­g the murder of President Kennedy have been discovered virtually untouched in attics and drawers nearly half a century later. 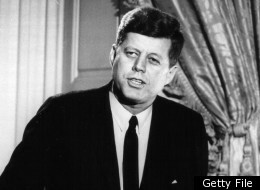 The JFK assassinat­ion may be ultimately solved with such new evidence. A new novel 11-22-1963­: New Evidence reveals how more movies surroundin­g the JFK assassinat­ion could surface. For details, visit http://11-­22-1963.co­m. Seen in a thrift store-II. Seen in a thrift store – I.